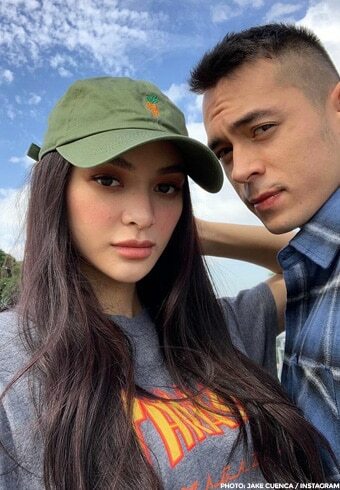 Kylie Verzosa and Jake Cuenca have officially captured our hearts. 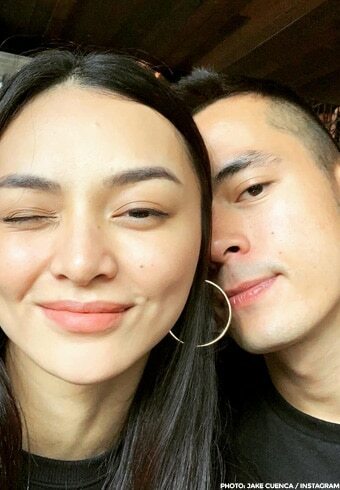 The rumored couple, who is not so rumored anymore, first met on the set of the hit television series "Los Bastardos" and seemed to have that immediate connection all "magiging sila din in the end" couples have. After months and months and months of speculation, we can finally look at all their adorableness online and bask in the loveliness of their relationship. From mirror selfies to their matchy-matchy vibes at the Wanderland Music Festival to piggyback rides (sobrang cute nakakamatay), Kylie and Jake are giving us that distinct feeling that we might have yet another power couple in our midst. See their best photos together in the gallery above! Jake is part of Mikhail Red's horror film "Eerie" starring Bea Alonzo and Charo Santos. It is now showing in cinemas nationwide. Trailer ng 'Eerie', marami na ang nabibiktima? BeaRald, tigil na muna sa kaka-bakasyon?! Bea at Charo, nag ‘Oh Na Na Na’ Challenge!